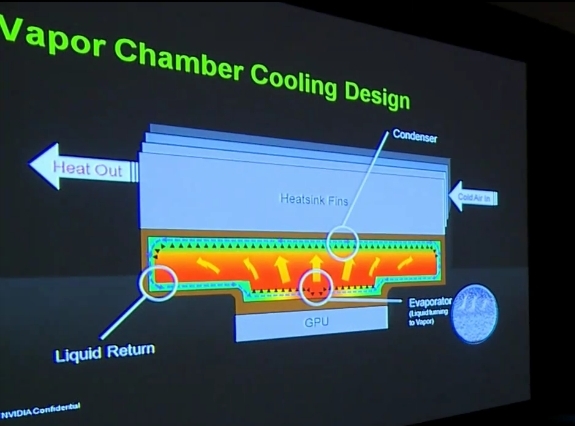 Tom Petersen, Director of Technical Marketing at NVIDIA showed to the crowed at PDX LAN event some details about the upcoming Nvidia Geforce GTX 580 graphic card . 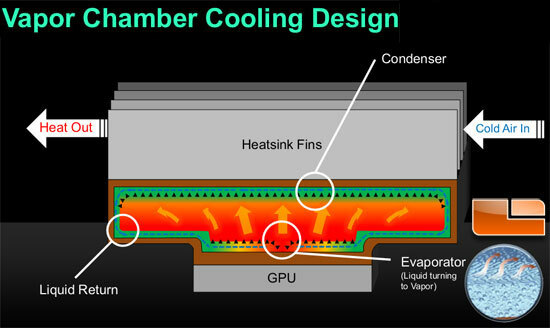 The card use the new vapor chamber cooler system something that AMD use it on the past , it's a system that use the heat from the GPU to evaporate the liquid than a cooling system re-transform the vapor back to a liquid , this for sure will lower the cooling system noise of the noisy GTX 580 . 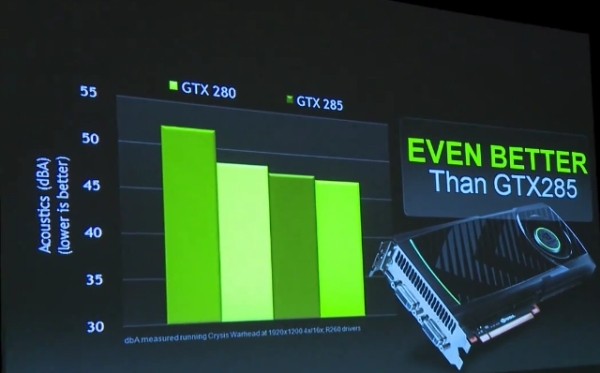 The card not only quieter Vs the Geforce GTX 480 but it's even quieter than the not noisy card the GTX 285 with a noise level about 47dBA as the slide show. 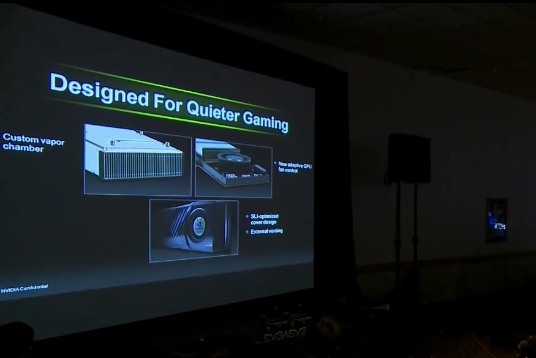 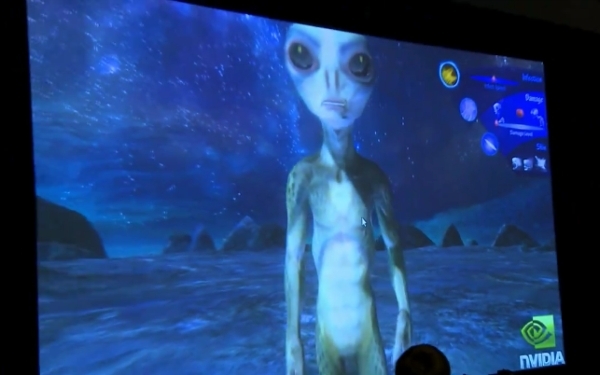 Also some tech demo showed at the event , a tessellation real time demo rendered made by Nvidia team ,plus Call of Duty: Black Ops running on the GTX 580 card.